How long have you been trading in your present location and form? How long have you been supplied Marjo? 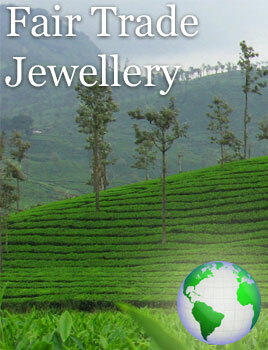 How many suppliers of silver jewellery do you regularly buy from? Are you increasing or decreasing this number of suppliers? How much does silver jewellery represent of your total business? How much does Marjo represent of your silver jewellery business? In the past year, would you say Marjo's customer service has? In the past year, would you say the variety of Marjo's designs have? In the past year, would you say Marjo's product quality has? In the past year, would you say Marjo's admin and delivery has? In the past year, would you say Marjo's out of stocks and timely supply? How would you rate Marjo's customer service relative to our competition? How would you rate Marjo's product quality relative to competitors? How would you rate Marjo's product design relative to competitors? Is it easy to contact your Marjo agent or sales rep? How is the product knowledge of your agent/sales rep? How is the sales approach of your agent/sales rep? How easy is it to get in contact with Marjo? How quick and responsive is Marjo to customer queries? In general how would you rate our product quality? In general would you say our admin and delivery service was? How well do Marjo's product designs fit your customer's needs? How does Marjo rate in the frequency of introducing new designs? How good is Marjo in keeping up with fashion? How would you rate the look of our jewellery? Relative to the price, does Marjo's jewellery offer good quality? How would you rate Marjo's quality of gem stones? Is the overall look, setting and polish of the jewellery? How clear is the lay out of our invoices and packaging? How prompt and accurate is our delivery service?